First thing I did when I got home from work was run to the freezer to make myself a snack. Vanilla ice cream and thin mint girls scout cookies!!! So last week I put a pack of thin mint cookies in the freezer, just for this day. 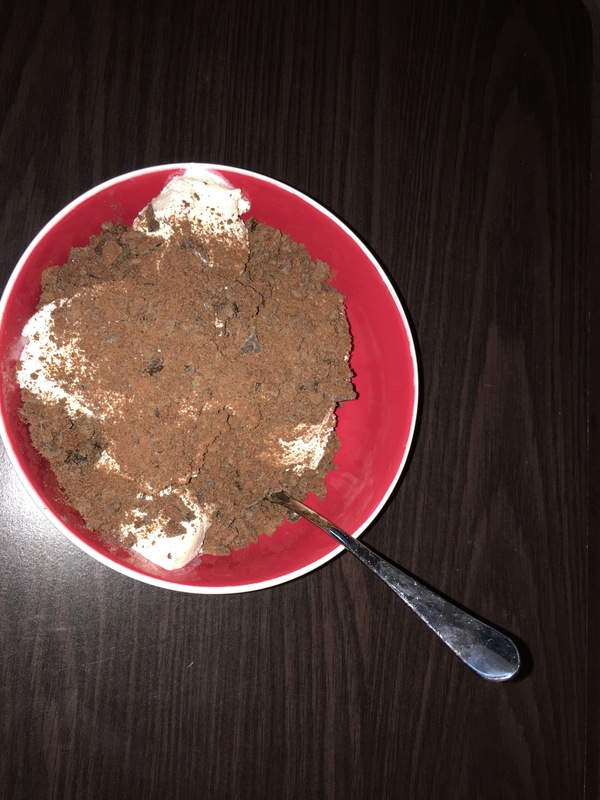 After filling my bowl with ice cream, I crumbled the thin mint cookies and used them as the toppings. PERFECT WAY TO END MY DAY, while watching GlamTwinz beauty channel. It has been a long week and this snack has me in heaven. With a long weekend coming my way and another longer week, all these calories are well deserved.